Last edited by 71 OLDS; August 31st, 2017 at 11:59 AM. Really nice! Any figment issues with rims/tires? Thanks. No issues but rear fender well lips are rolled and backspacing had to be perfect for both front and back. If either was even 1/2 inch off there would be issues. You have no idea. It was a long time coming to get the car back home. We will have to get together sometime. I moved here from Alexandria last year but haven't had either of my cars since then. 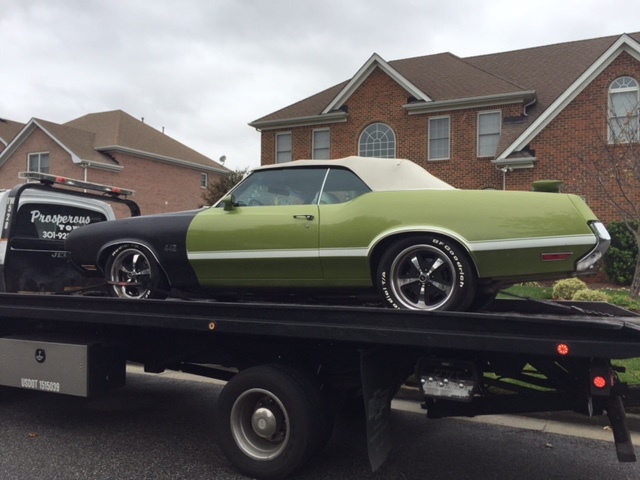 My 70 Cutlass will probably stay in Northern VA at my parents since there's lots of garage space there. It will be for my son when he graduates from college (Virginia Military Institute) next year. I bet that thing handles like a go cart! Even better shaving off some weight with the alum. engine parts. It's a blast to drive into corners hard with. Really glad I went with the Road Race version of the Richmond 5 speed. 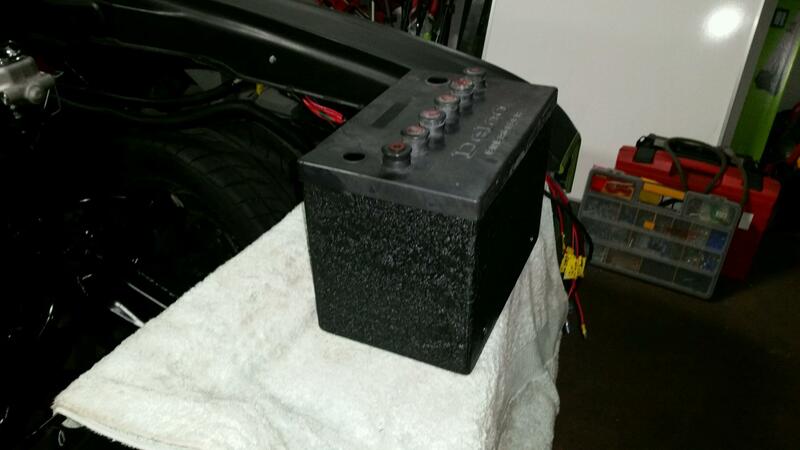 It has synchronizers in it like the Richmond 6 speed that allows for higher RPM downshifts. Really fun to downshift into a corner (instead of breaking) and then accelerate out. Off ramps from the highway are a blast and all that hp and tq doesn't hurt either. The brakes still need some adjusting. They are manual so the pedal is harder but I feel like 13" rotors front and 12" rotors rear should be braking better than it is now. But the combo of the 18" wheels, B-body spindles which changed the geometry from this :front wheels = \ / to this: front wheels = / \ (meaning the lean is gone) the upper and lower tubular control arms, the big sway bar (but still light since it's hallow) and the quick ratio steering box really is amazing. My wife has a 2004 Nissan 350 Z and this is not that far off of that in the corners now. I still think there some more dialing in I can do too with the coil overs and adjustable QA1 shocks in the rear depending on if I want to do corners or straight line or find a happy medium for both. Also the AC compressor is 20 lbs lighter. Hope to weigh the car again next time I'm in Northern VA. They have a gravel place where I can drive the car on the scale for $2 and it's accurate to + or - 1 lb. That's how I knew it was 4200 with me in it to start. Hoping I'm 300 lbs less now (3900 w/me at 200 lbs so 3700 car only) but that may be wishful thinking. Will update when it's weighed again. Last edited by 71 OLDS; August 31st, 2017 at 12:02 PM. 1. Clutch issue is fixed. 2. Brake lights are working. 4. Trunk light is working. 6. Chrome wheel well trim is mounted on the glass fenders. 7. Chrome trim piece is mounted on the trunk. 9. Olds Rocket on the nose. 11. Discovered the Maser Cylinder is probably for a pwr set up (1 1/8" bore) so I purchased a 15/16" bore disk/disk manual one - hoping that will soften the pedal and improve braking. 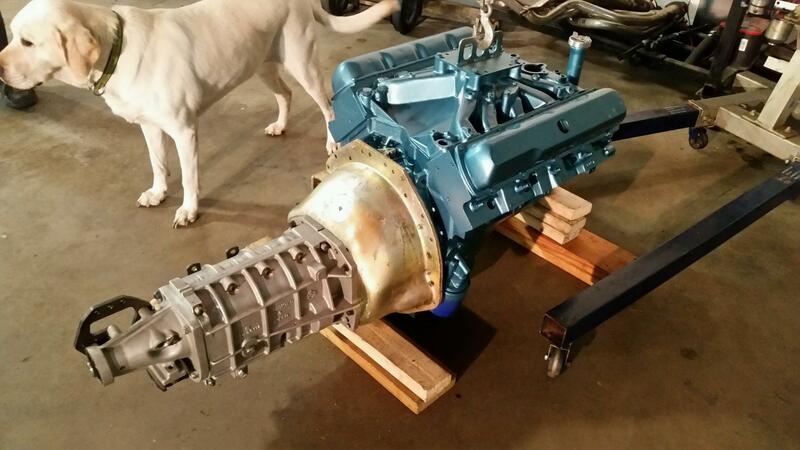 Should be installed tomorrow. They fixed my clutch issue but also have resolved some of my electrical problems. Site doesn't look like much but coincidentally these guys have done 2 442s already this year. One frame off restoration and one full paint. What are the odds? Was told they would not have a problem getting my glass fenders, hood, and, decklid all squared away plus some custom things I want done. May have the car looking pretty again earlier than I thought. We'll see. Will have some pics and maybe a video to post here over the next few days. 1. power windows - get all the switches working plus make sure all the glass goes up and down correctly and stop at the correct locations. Want it all to be 100% correct. 4. parking lights (blinkers work but not parking lights) - actually want the parking lights to stay on all the time as "daytime running lights" like the new Corvettes and some of the other cars. Will try to have them wired that way. a. fix gaps and issues with all the glass parts. b. weld in metal on quarters behind tires. 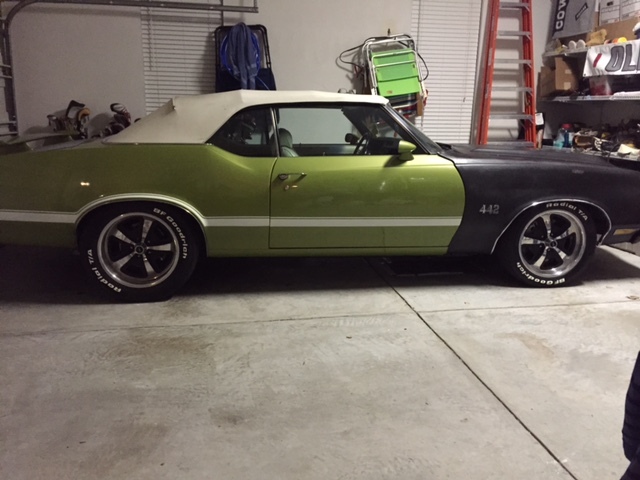 g. stripes on hood and sticking with W30 stripes but nothing else W30 (no emblems or red fender wells) The car is a real 442 not a W30. I just like the thicker stripes -especially in white against the lime green. 14. get a new stereo (deck) that allows cell phone plug in to access all my songs - current Alpine is from 2002 - didn't have that option back then. 16. R134 conversion for AC - get it blowing ice cold and make sure all the duct work behind the dash is good and it blows out all the proper vents. Last edited by 71 OLDS; October 13th, 2015 at 04:32 PM. I'm glad you found Rory and Son. I called them about doing some differentials for me and had all the answers for our O type rears and good pricing. 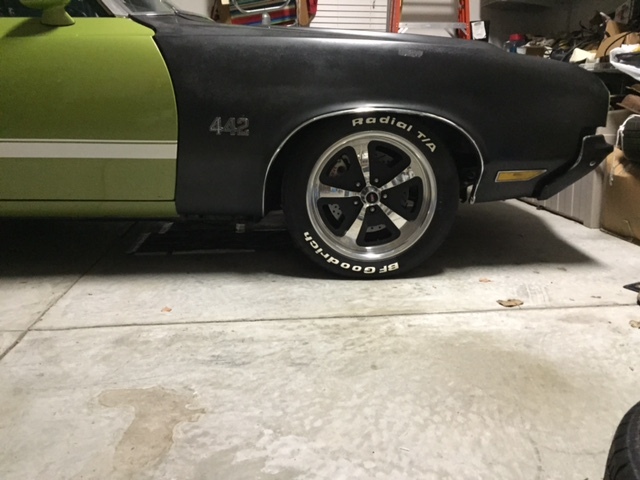 I found a local body shop that has done a few 442's as well. You have alot to get done on the car. Good get yours done, then you can come help me with mine! hashaha If you need some help with yours just shoot me a pm and we'll get together. Yeah happy with Rory so far. Although I would reach out to Brian Trick for any rear end work. He's in PA but worth the drive or shipping cost. 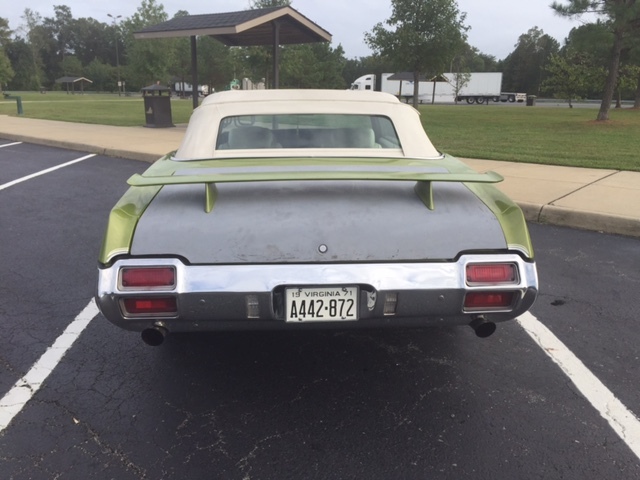 He did the entire rear end on both this car and my 70 Cutlass for me. 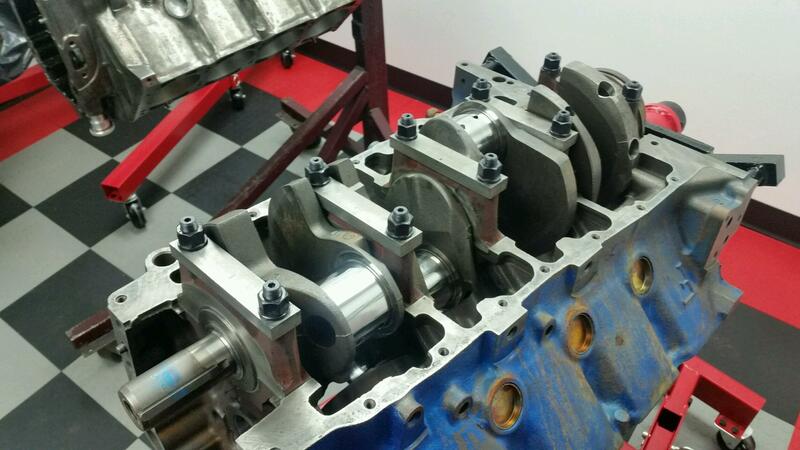 Exactly how you want it done - any gearing available for your rearend and built to survive any hp/tq we can put out. If you're doing something minor Rory would probably be good but if you want new gears, new Axels, setting everything up to survive abuse, and even adding aftermarket upper and lower control arms Brian is your guy. 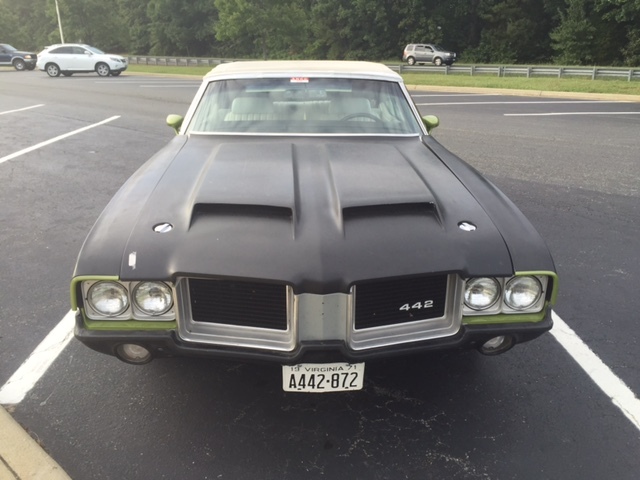 507Olds on here. I'll be around this weekend working on the car and doing lots of test driving. Let me know if you want to connect. Last edited by 71 OLDS; October 22nd, 2015 at 11:51 AM. Finally got some videos up on Youtube. Got the raised white letters done on the passenger side. Went with the BFG letters since I had a BFG tire to use as a model. Bought the letters from Treadwear. Sanded the Nitto lettering off and glued these on one by one. Last edited by 71 OLDS; August 31st, 2017 at 12:06 PM. Sorry to hear that. The sticky letters look great though! :-) I'll get ahold of you this wk. I've been busy cleaning up stuff in my own mess of a garage. Sorry to hear about the head gasket. Is that 528 hp at the crank or to the wheels? Either way sounds pretty strong. Good luck getting her back on the road. Thanks and that's at the crank. The car is on it's way to Frank Trimble in MD to take the heads off and see how bad the situation is. Fingers are crossed. 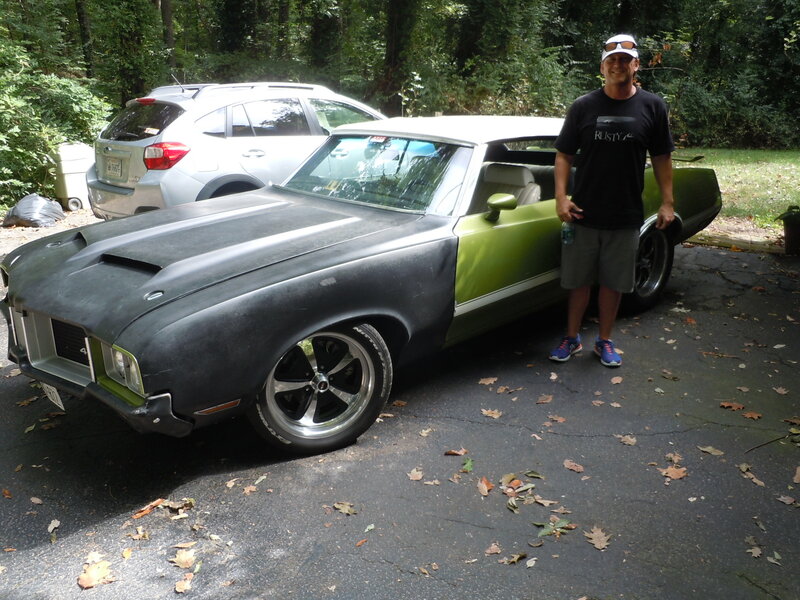 I had plans for Frank to do several projects on the car but I thought it would be around this time next year. 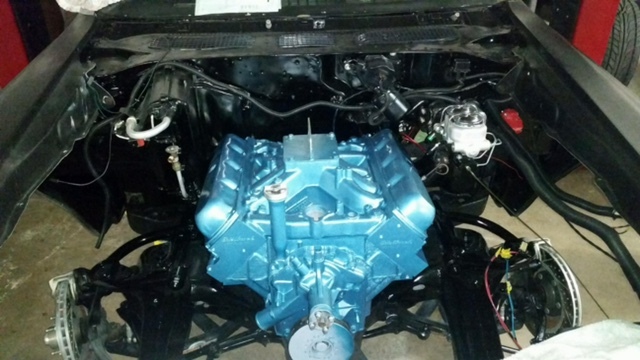 We will see what all needs to be done to the motor and then if he can do some other projects from there. Last edited by 71 OLDS; August 31st, 2017 at 12:14 PM. Both head gaskets were blown. Sounds like most likely cause is the wrong head gasket was used. 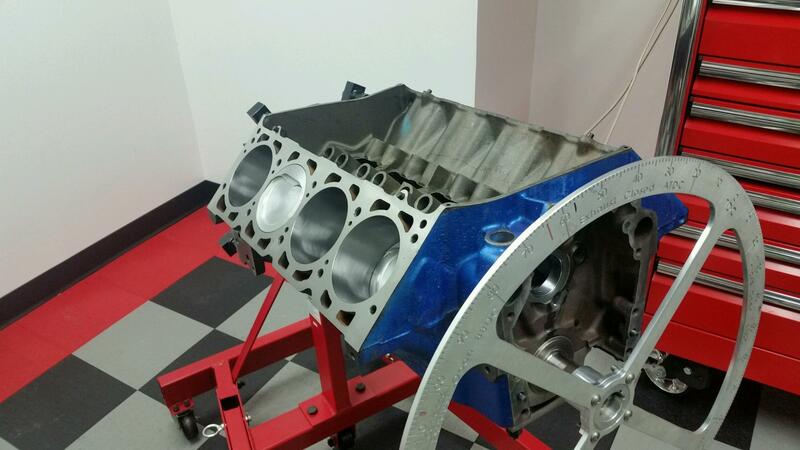 Apparently Edelbrock suggests not using Felpro Blue gaskets with their aluminum heads. I had never heard this before but found others that have. So gaskets will be replaced but other issues have been found in the motor so maybe this was a blessing in disguise. 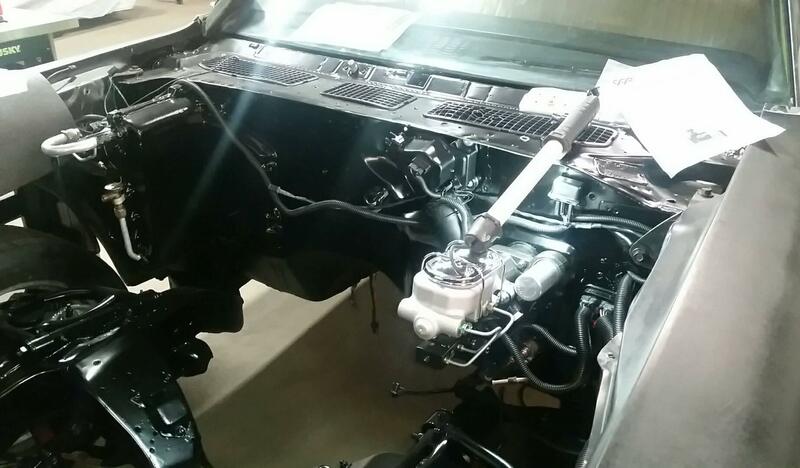 It looks like when the heads were ported through the push rod holes and head bolt holes to get the max flow, the sleeves that were added did not hold up. There was a puddle of oil in the intake port and the oil is "sweating" from around the sleeve but the rest of the port is dry. Also the distributor gear is all chewed up possibly because an iron gear was used with my hyd roller cam instead of a bronze gear. So far that's all the issues found with the motor but there's more digging to come. Will be checking the rings next. Separate from the motor the brand new gas tank that was installed is leaking from the seams and will need to be replaced. Unfortunately is was purchased 10 years ago so no way to get my money back or even to find out/remember where it was purchased. Also fuel related one part of the fuel lines toward the front of the car by the frame are crimped/smashed. We couldn't figure out why the custom manual fuel pump wasn't working but best guess is the fuel couldn't get through at this point w/o the help of an electric pump. Lines will be replaced and manual pump will be tested again. Also Frank and his brother started to try to fix some of the wiring issues on the car. 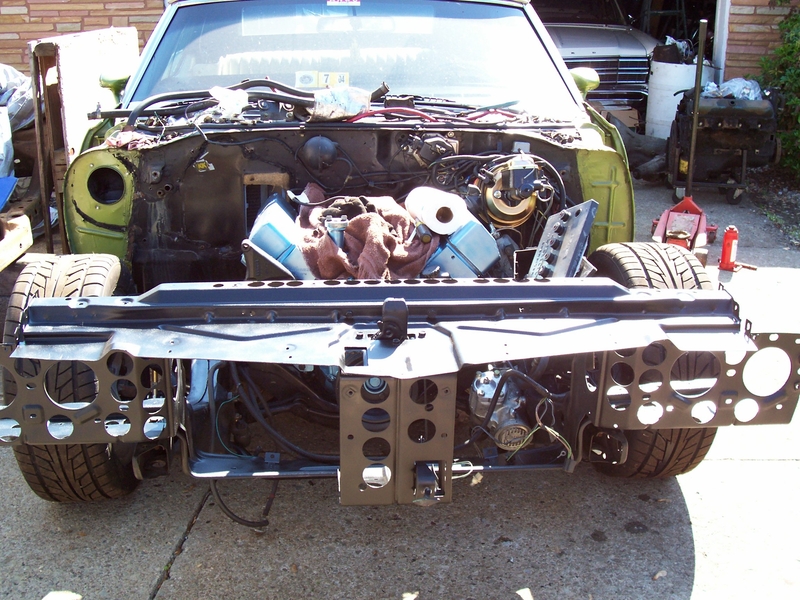 Most of the car will need to be completely rewired. Hoping to get all these issues worked out slowly but surely. I thought a hyd roller cam needed a steel ( not iron or bronze ) gear? At least that's what I have had to do on Ford motors I have had. Good luck with all the fixes. You definitely have one cool and mean-looking ride there! Hi Paxton - thanks for the comments. I will call Crane cams tomorrow and just ask them. Want to make sure it's done correctly this time. Interesting - my Crane cam is part # 80HR00013 - it is a billet steel hyd roller but it is made with an iron gear so the iron dist gear that was on it was correct. Something else caused it to be chewed up but at least it was the correct part. So your cam is a steel roller but has an iron gear on it...which means your iron distributor gear is correct. Interesting. I didn't know that some steel roller cams had iron gears on them. Sorry I wasn't able to help. It was a learning experience for me too. I found out a billet steel hyd roller would "normally" have bronze dist gear but because my cam had the iron gear on it that changes things. Hardened steel hyd rollers are supposed to generally have hardened steel dist gears. Sounds like this is all over the map so extremely important to check with your cam manufacturer to make sure you get the correct dist gear. Glad to know mine was correct. Lots of progress and discovery on the car at Frank Trimble's shop in MD. Motor is out and a few more issues have been found. There was an issue with the with all the gears getting ground up (dist gear, gear on end of cam) the dist gear was rubbing against the "thrust pad" on the block and actually put a small groove on the block that will need to be repaired. Additionally the 3 week old pilot bearing is trashed and will need to be replaced. All of this caused some small metal pieces to be found from all this grinding so the motor will be fully disassembled and put back together with a Edelbrock recommended head gaskets, the head sleeve issue will be repaired, the groove on the block fixed, the cam & dist gear replaced, and the crank may need to get reground. A few of the bearings and one rod had some minor issues from all this. 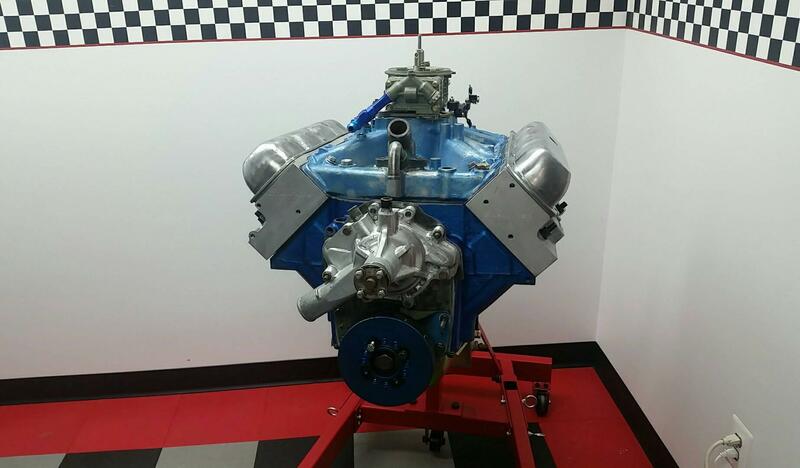 The bottom line as mentioned the head gaskets blowing was a blessing in disguise there were several other issues that would have done lots more damage if the motor was not torn down. Frank will get everything fixed properly and back in the car. While the motor is being fixed up the car was rewired and the parking lights and gauges are working now. 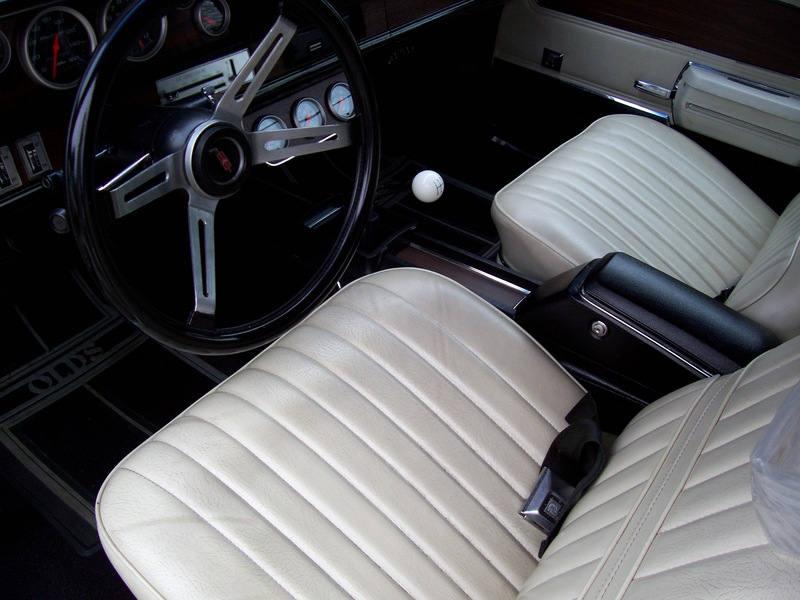 The dual disk clutch was boxed up and sent back to McLeod to be converted to a "strapped unit" and re-balanced. Apparently I have the old pin drive floater version that had basically a "recall" about 8 years ago. The hydroboost brake setup will be installed to help with the hard pedal with my manual disk/disk set up, the newly purchased gas tank will be replaced (leaking at the seams), the custom manual fuel pump will be installed, some custom work to get the stock valve covers to fit (or stock appearing) and will try to find a way to add the stock breather even with the torker intake. Needs to come down about 1.5 " with a drop base aircleaner welded into the stock air cleaner base and maybe some cutting of the rim where the breather mounts. The QA1 Coilover springs will be changed from the progressive 365-465 rate to 550 linear rate along with the roller bearing washers being added to prevent binding, custom reverse lights setup will be added to work with the Richmond 5 speed, the motor was installed with solid motor mounts (not sure why) those will be swapped for original rubber mounts with the bolts put through them for added strength. Plus lot of other small things that need to be fixed or updated. Can't wait to get the car back with all of these things fixed. Thanks Retro. Agreed lots of stuff on my list! Hoping most of if will be done in the next few weeks. All paint and body items will be pushed to 2016 for sure but hoping almost everything else will be done before year end. We'll see. You're really keeping at it! Great to hear you're on your way. It will all be worth it in the end!! Thanks Paxton. 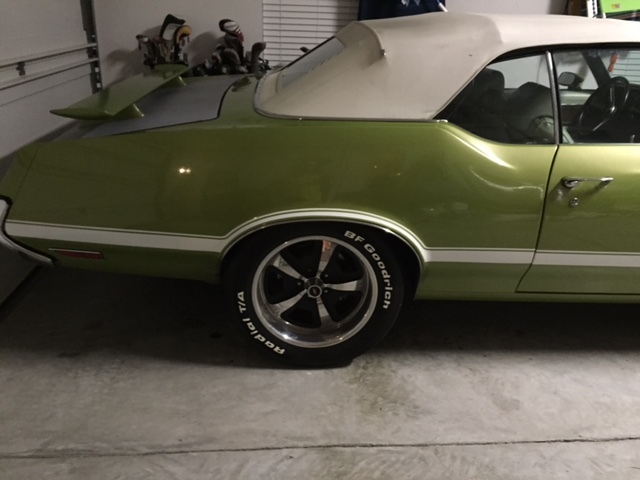 It's a little crazy trying to get this car done at the same time I'm trying to finish up the 70 Cutlass Supreme for my son who graduates from college in May. 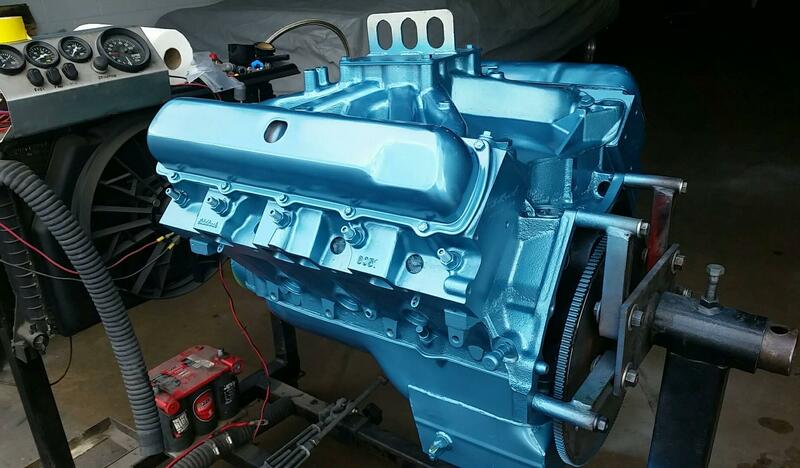 That car is finally painted but the motor is being rebuilt (small block Olds - 374 ci stroker should be around 425 - 450 hp & tq) - lots of projects to go on it too. Doing one car is bad enough but 2 at the same time is off the charts!! motor is going back together. Unfortunately Crane can't just replace the iron gear on the cam so I have to get a new one. They will give me a $160 discount though so will probably be sticking with a Crane Hyd roller. Considering a different cam with more duration but a wider LSA. We'll see. Last edited by 71 OLDS; August 31st, 2017 at 12:17 PM. New cam is ordered. Stayed with a Crane hyd roller since I got the discount for sending the one with the chewed up cam gear back. As mentioned went with a wider LSA (112 vs 108) and a little smaller on the intake side (about 4 degrees) The LSA should keep it safe for pump gas. The Ebrock heads flow 320/210 @ 600 = 66% so the 12 degree spread on the new cam is probably about right. I'm going to miss the healthy idle of the 108 cam but hopefullly the smooth idle will make for better stop light to stop light driving especially with the AC on in the summertime. Also hoping the power will be spread out more and less peaky. Will probably lose some peak power #s but maybe the avearge across the power band will go up. It will be interesting to see how it drives with the new cam. I don't plan on doing another engine dyno but may do a rear wheel dyno in the summer once everything is dialed in. We will see. 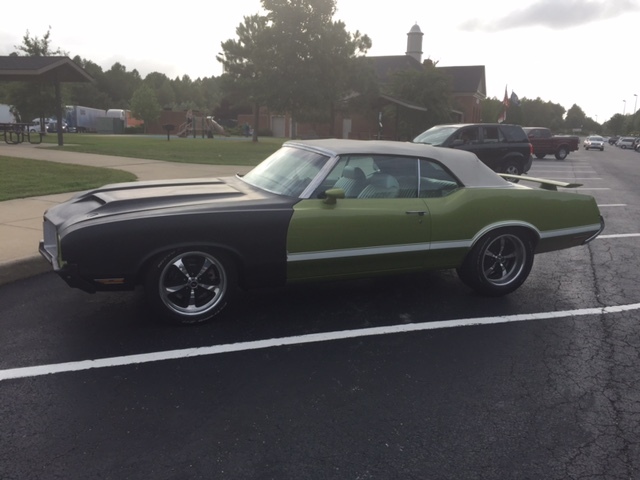 I found 2 Olds 455 builds with this same cam and a Pontiac 455 with a very similar cam. 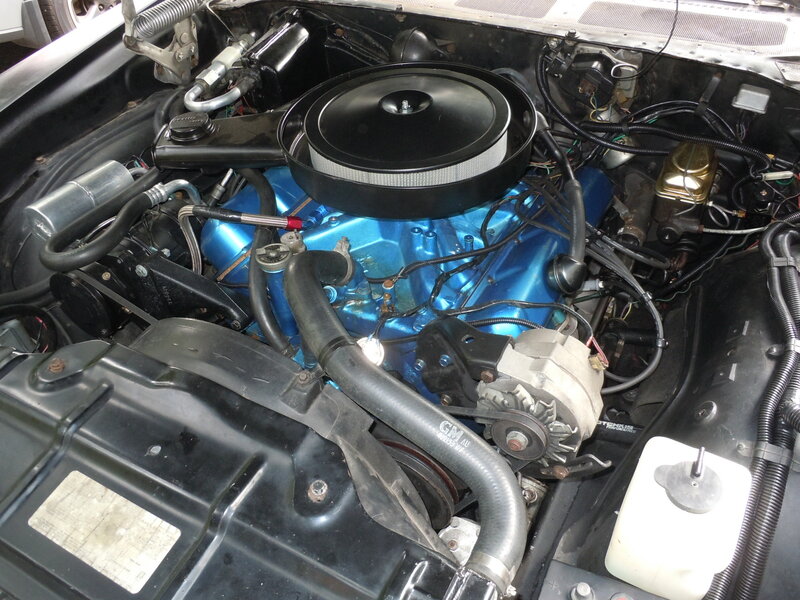 All made hp at the motor in the 525 – 565 range and tq at the motor in the 560 – 590 range. With the old cam I dyno’d at 528/563. As long as I stay in that range and the motor stays "healthy" for a while I'll be happy. I want to put 3 to 5 k miles on this car a year and really enjoy it. 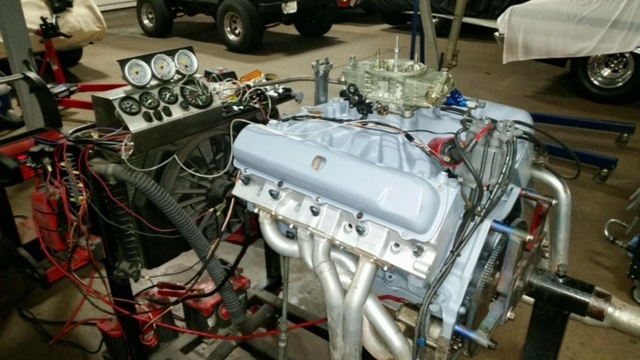 Need the motor to run well and be ready to take a beating. I'm going to drive it hard. Last edited by 71 OLDS; August 31st, 2017 at 12:18 PM. That's the way they should be driven!! A few new update pics. Last edited by 71 OLDS; August 31st, 2017 at 12:28 PM. I have a barely used 71/72 OE type replacement gas tank you can have for free, and am close enough where there wouldn't be any shipping. It's a Tanks Inc non-EFI tank, all OE fittings, etc. Basically come get it before I throw it out, and, it doesn't leak. Greatly appreciate the offer. That's very generous of you!! Unfortunately I already bought a stock replacement and it's partially installed. Shame, it's perfect, sick of it taking up space, and not worth selling because of shipping. Guess once I get sick of bumping into it to the land fill it goes. Will do. I'm sure someone wants/needs it! Last edited by 71 OLDS; August 31st, 2017 at 12:39 PM. Last edited by 71 OLDS; August 31st, 2017 at 12:40 PM.